Oru Soapetty Katha malayalam movie directed by debutante Hafiz Ismail featuring new faces in lead will go on floor in November. Hakeem Shajahan, Shafeeq Rahiman, Miraj Bhaskar, Anand Bodh, Laljish Lovlies, Abdul Rahim, Sibi and Vanditha Manohar would debut on silver screen while Mamukoya and KPSC Lalitha will also give life to other important characters in the movie. Unni Krishnan and Hafiz Ismail have produced the movie while it is being presented by Akasmsha movie creations Films and Godown movie makers. Hafiz Ismail is gearing up to break the laws in film making with his directorial debut 'Oru Soapetty Katha'. With an interesting tagline – 'Every Think Cliché', the story of the movie pools into the up and down which happens in the relationships and also through the complexities in life. The relationship of human is being compared like a soap box. As soap and the soapbox are incomplete without each other, the life of a person is incomplete without friendship. Going deep into 'Oru Soppetty Katha', the movie is about the story of two friends who were soul mates since their school days. Tony (Hakeem Shajahan) and Ajmal (Shafeeq Rahiman) two close friends were placed in a private finance company as marketing executives in the second half of their life. Being true representatives of the young generation, both Tony and Ajmal who are much influenced with the growing technology and society come across some issues which include work, love and money. Coming from different background, Tony and Ajmal are having their own characteristics and ties. Leading a bachelor life with enjoyment and trill at its best, they come across some incidents which change their attitude towards life. Standing at a perplexing situation, the certain incidents force them to evaluate and rethink their friendship. How they tackle the issues takes the movie to the next phase and keeps the interest at its peak. For young actor Shafiqu Rahiman 'Oru Soppetty Katha' would be a perfect platform to show his mettle on silver screen who already has acted in Korattypattanam Railway Gate, Cinema Company and Black Ticket. Through 'Oru Soppetty Katha' Shafiqu would make a step forward as one of the lead heroes in the movie. Miraj Bhaskar, Anand Bodh, Laljish Lovlies, Abdul Rahim, Sibi and Vanditha Manohar would debut on silver screen while Mamukoya and KPSC Lalitha will also give life to other important characters in the movie. Sripted by Arun Govindkutty, the music is set by Abhijith Johnson. Unni Krishnan and Hafiz Ismail have produced the movie while it is being presented by Akasmsha movie creations Films and Godown movie makers. 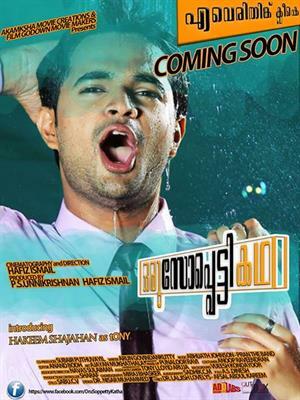 Oru Soappetty Katha will go on floors in November.